Richard D. James, l’enfant terrible of electronic dance music, returns with a new single that is among the best of his recent work. T69 Collapse follows a relatively conventional song form, with a nice melodic and catchy opening segment, a hellacious breakdown and a return to the opening theme. Except for the breakdown, it’s an almost ‘radio friendly’ hit which James is quite capable of, but only occasionally releases, preferring to tread the more heady waters of abstraction, noise and ambient. Lifted from his upcoming Collapse EP (out September 14), the opening portion features a warm bouncy bass line, a gorgeous open-ended melancholic melody on top, with skittering beats and remarkably clean sounds which makes the whole production gleam. 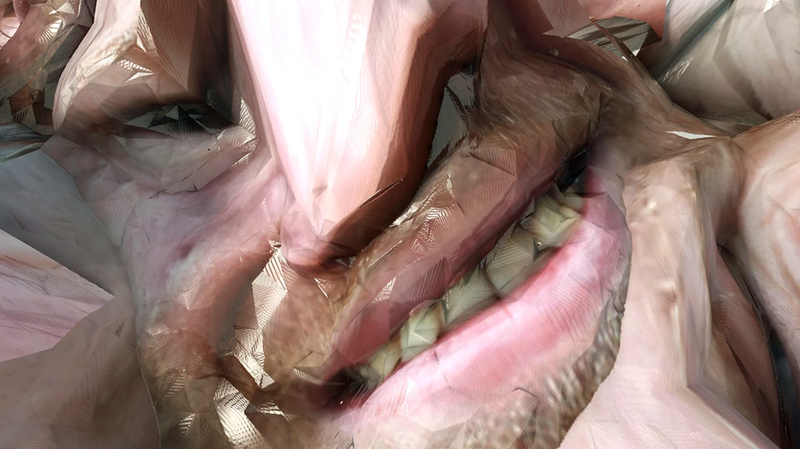 Like other electronic auteurs, James embraces the grid of computer-generated music, but then toys with the structure by skipping beats and sliding bars to create micro-tectonic shifts within the rhythms to engaging – and disorientating – effect. Subtle “oohs” reminiscent of the voices in Windowlicker give the track a trademark AFX voice. Somewhere around the two-minute mark though, of a sudden the dissonant breakdown appears, with harsh horror synth stabs sounding like cockroaches and bats bursting forth from the circuitry. Heavy thuds quickly appear, possibly to crush the gremlins, but it’s not clear that all the thwacking is not merely a device to exhort the squiggly and noisy tones to scurry faster to heighten the mischief. The final portion returns to the main theme to provide some sweet resolution to the tumultuous breakdown and take the track out. T69 Collapse is a nice treat from Aphex Twin and a continuation of top form since his return in 2014 with Syro.